See some of the world's best magicians and illusionists LIVE in Branson! Witness the unbelievable, the amazing, and the jaw-dropping illusions of some of the biggest names in magic – LIVE on stage in Branson, Missouri! Whether you’re bringing the kids (or just love being perplexed) – these award-winning magicians will delight, entertain, and awe you as you watch their high energy shows! 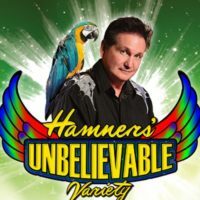 From disappearing birds to comedic antics – the magic shows in Branson are sure to be a whole lot of fun and entertainment for everyone in the family! With a town that’s built on live entertainment, it should come as no surprise that there are several magic shows to choose from! From intimate close-up performances to large, full-stage illusions – you will be amazed and captivated by these talented magicians! Branson has become a destination for world-class magic and illusions, and has featured some of the biggest names in the business performing on stage throughout the years! 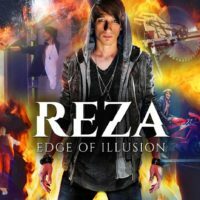 David Copperfield, Harry Blackstone Jr., Melinda, Kirby VanBurch, Brett Daniels, Darren Romeo, Justin Flom, Steve Wyrick, and many more of the top magicians and illusionists in the world have all made appearances (and disappearances) – alongside the regularly-scheduled magicians who perform regularly in the theaters around Branson!